We didn’t actually go to Goblin State Park. 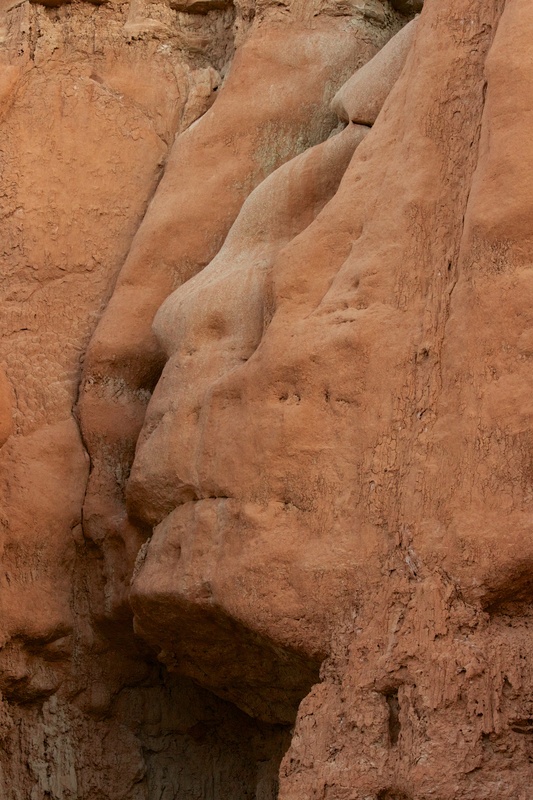 The Park is named for rock statues that look like Goblins all over the park, especially popular with the younger generation. When we arrived, there were no campsites available, so, as we do, we found a magnificent (do I dare say better) spot to camp just outside of the park. Therefore, we didn’t spend the fee to go inside the next day either. We enjoyed our own Goblins, and as people do in the desert, create their own entertainment by naming the rocks. See why I’ve fallen so far behind here. Utah is such an underrated state to visit. We could spend a year here exploring! The flowers and solitude of the vast high plateau deserts are such a welcome homecoming after days of visiting scenic canyons and vistas. It brings us back to the simple details and up close comforts of whats within our reach without the drives and roads and parks and people. Superb photos, as usual. We really must come to the states on a future trip, it looks fantastic. Yes, you should! And the Southwest is the place to go. Shall we expect you in about hmmm…10 months? ?